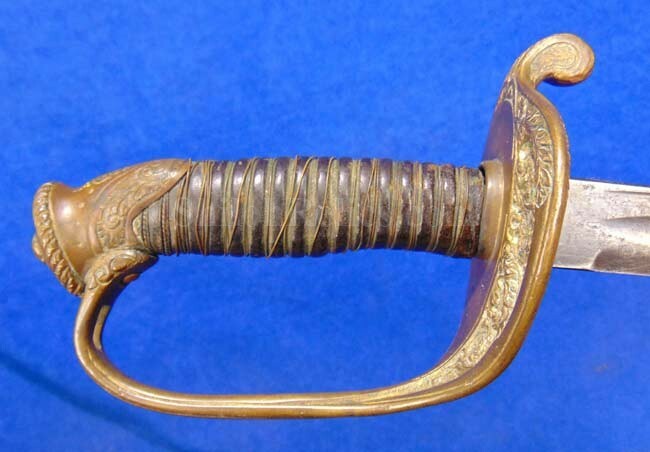 This is a fine looking original Civil War officer’s sword. 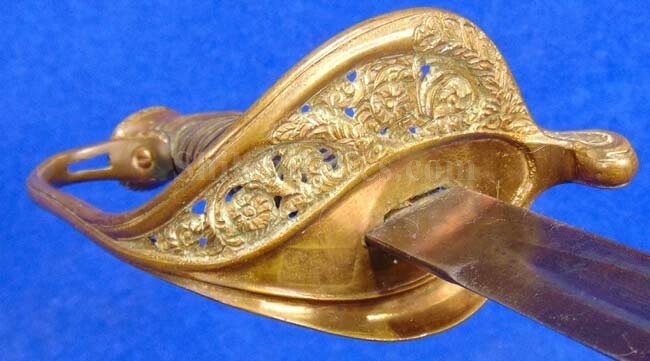 This is the nice version that has the floral brass hand guard which lets us know it was for a foot officer. 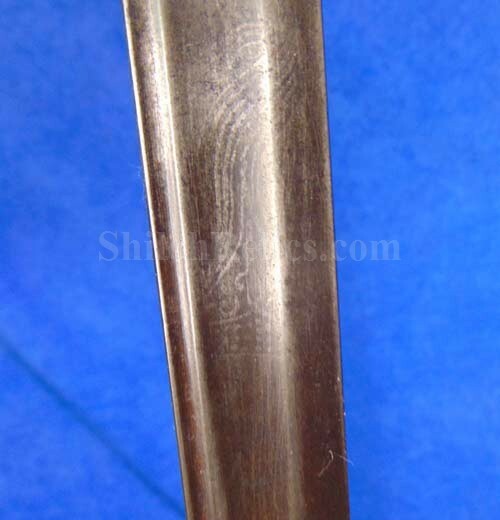 This one was made with the etching on sides of the blade. 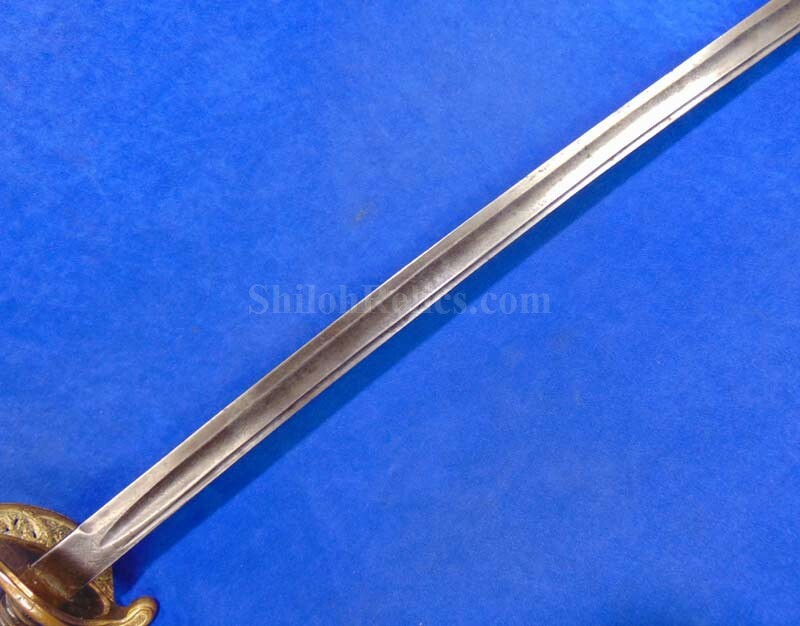 The blade has a darker the blade tone all over and as you can see in the pictures it displays quite well. 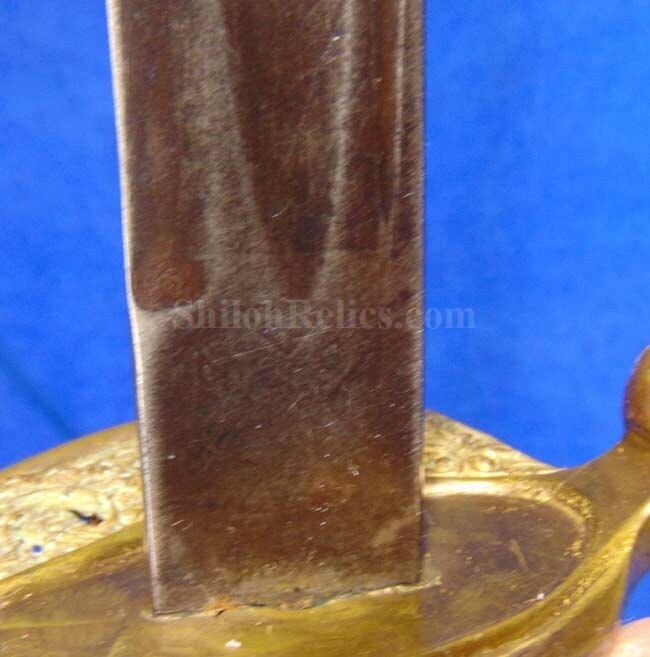 You can see traces of the etching on both sides. 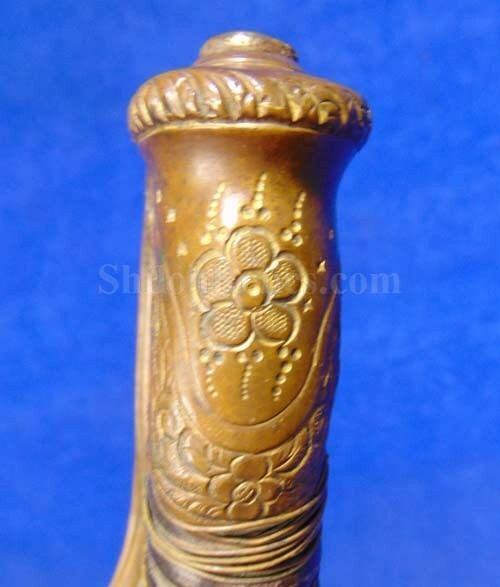 The brass of the guard and pommel cap has a wonderful color to the brass. 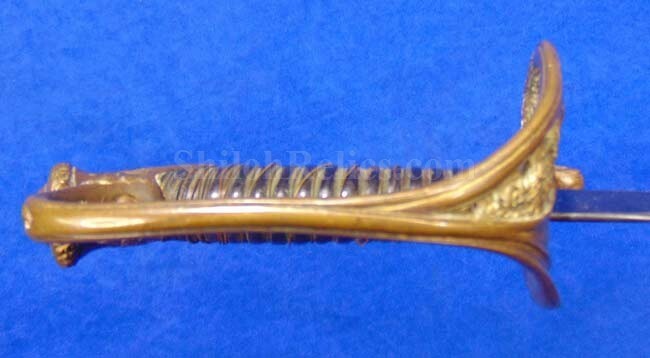 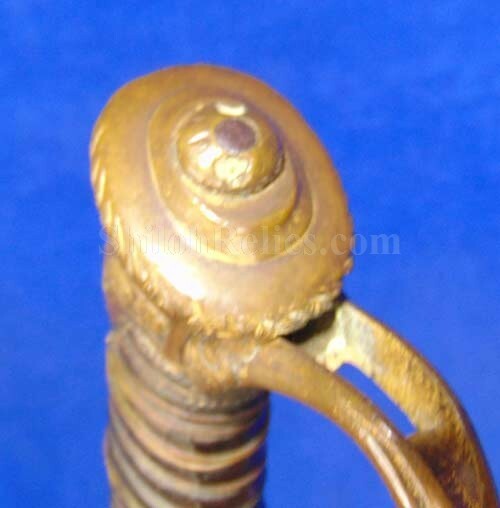 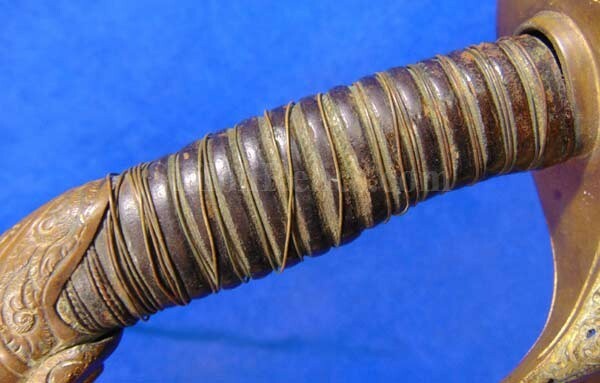 The original leather grip handle is intact with a beautiful look to the skin and it has 2 strands of the double twist brass wire present as well as the single strands that would have flanked the twisted wire at one time. 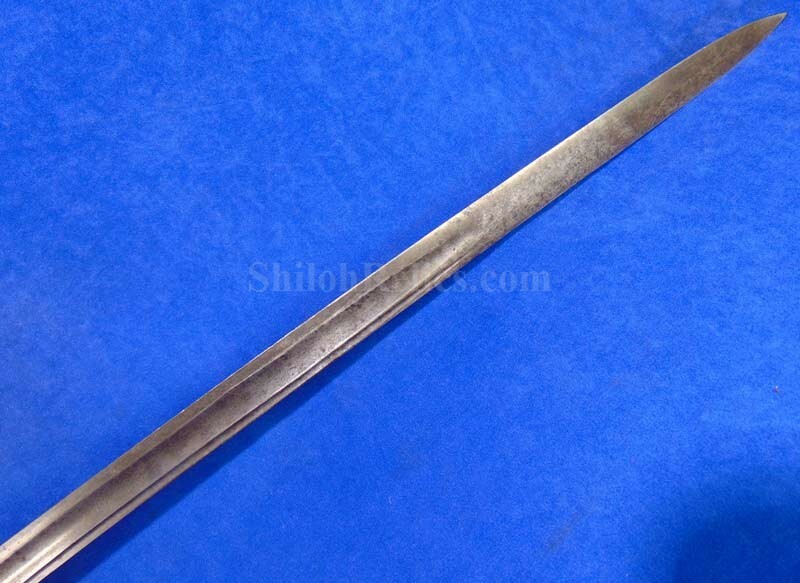 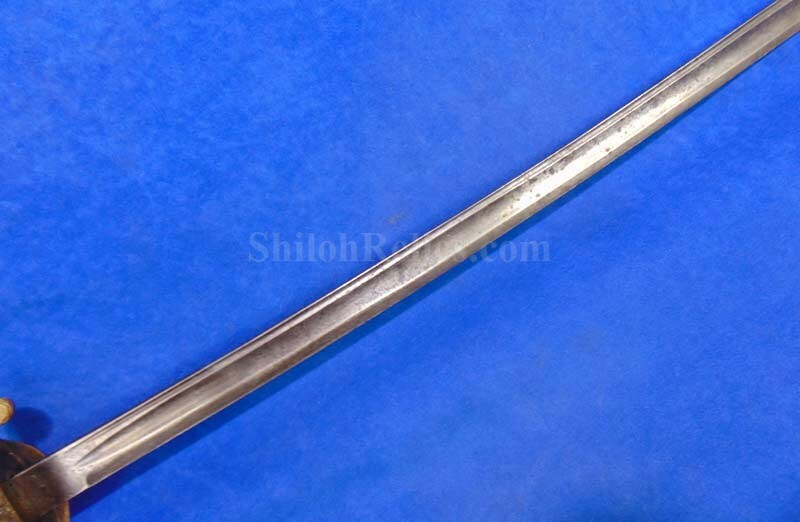 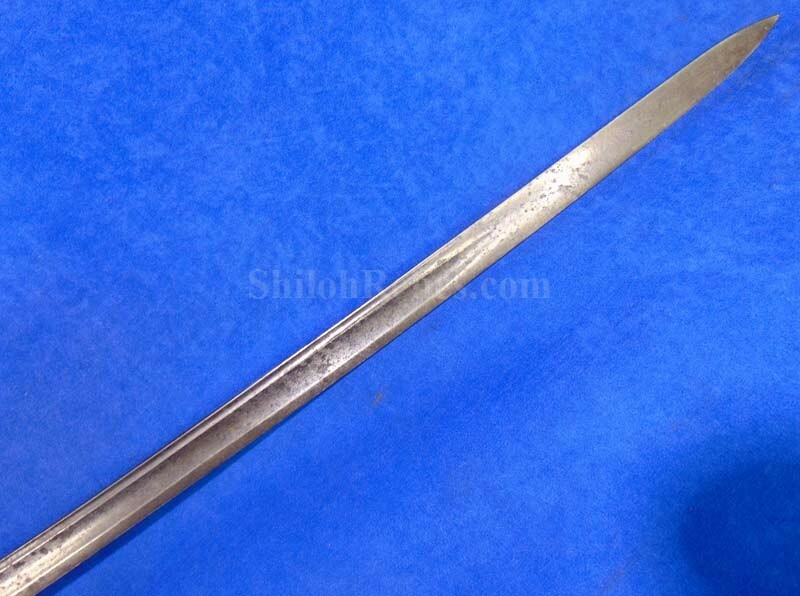 This is the pattern of sword that was made by the famous New Jersey firm of Saubier. 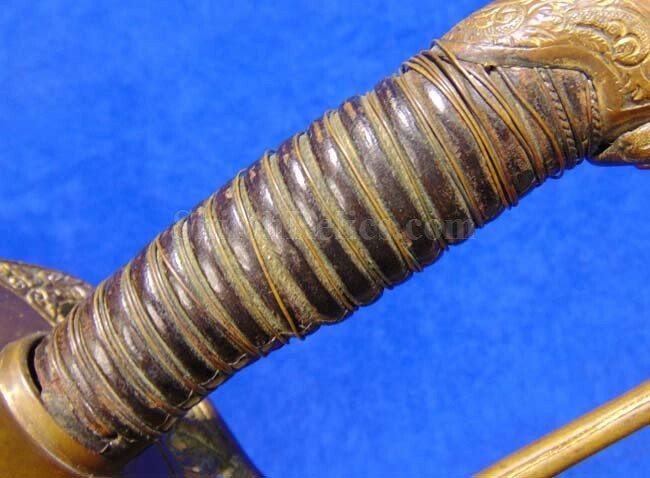 It is unmarked but it has their tell-tale blade design and pommel cap. 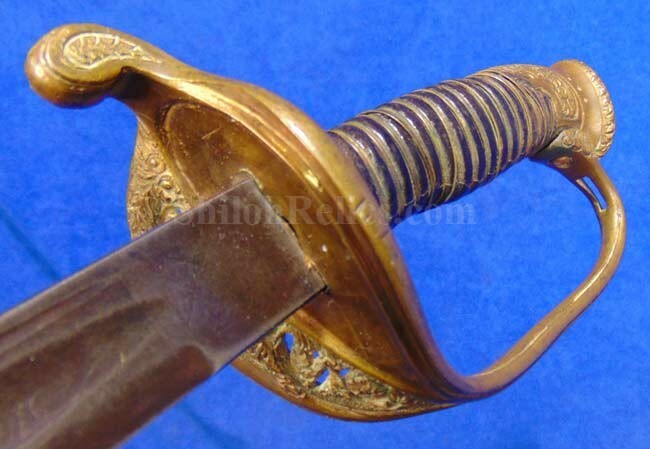 The sword is missing the scabbard as they so often are. 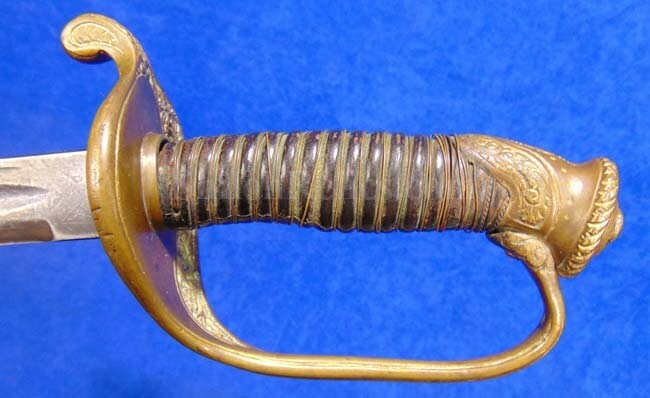 This is a fine looking original Civil War foot officer's sword!